Houston ATF agents hit a small jackpot recently when they raided the home used by a Mexican cartel member. The local KPRC-TV reports that agents seized dozens of guns and 45 pounds of marijuana. Agents were lead to the home by Juan Garcia, who had been arrested after purchasing high-powered rifles at a gun show on New Year’s Eve. Garcia told agents he had shipped 250 weapons to the home in the past two years. 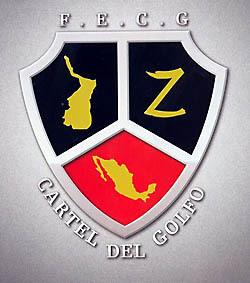 After agents found 26 rifles and $5,000 in Garcia’s trunk, he told agents he was a ranking member of the Zetas, a group of former Mexican military servicemen that run one of the country’s most violent drug trafficking cartel. On January 4, Garcia led agents to the Houston home, where they seized 34 assault rifles, 21 AR-15s, 13 AK-47s and 45 pounds of marijuana, according to the KPRC report. Posted: 1/18/12 at 9:31 AM under News Story.